W. W. Norton & Company, 9780393072594, 282pp. Hooman Majd offers a dramatic perspective on a country with global ambitions, an elaborate political culture, and enormous implications for world peace. Drawing on privileged access to the Iranian power elite, Majd argues that despite the violence of the disputed 2009 elections, a group of influential ayatollahs including a liberal, almost-secular opposition still believes in the Iranian republic; for them, green represents not a revolution but a civil rights movement, pushing the country inexorably toward democracy, albeit a particular brand of Islamic democracy. With witty, candid, and stylishly intelligent reporting, Majd, himself the grandson of an esteemed ayatollah, introduces top-level politicians and clerics as well as ordinary people (even Jewish community leaders), all expressing pride for their ancient heritage and fierce independence from the West. 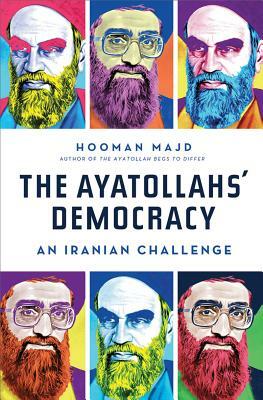 In the tradition of Jon Lee Anderson's The Fall of Baghdad, The Ayatollahs Democracy is a powerful dispatch from a country at a historic turning point.